Two children go on a journey. One is the traditional Innocent and one is troubled by the biblical sins of Conceit and Jealousy. Through suffering and experience, they reach the same understanding — that the true meaning of all religions is compassion and tolerance. There are actually eight themes that weave through the story. Several of them are classic metaphors, such as the theme of simultaneous physical and spiritual journeys. Others speak to universal truths linking the 13th century to our own era. Journeys: Georgette and Robert begin their first journey, the Children’s Crusade, separately. They come together during their next journey, the long struggle home. What is the unique character of their third journey, at the end of the story? What is the spiritual journey of the entire book? Innocence and Experience: William Blake’s famous set of poems “Songs of Innocence and Experience” influenced the author as she wrote the book. Is there greater value in Georgette and Robert’s innocent lives before the Crusade or in the bitter experience they gain through suffering and contradictions? Religious extremism/violence/ hatred: Gregor dies of the usual illnesses that plague the Crusade (and life in the thirteenth century), but he believes he has been cursed by the Jews he beat up. Do you think he feels guilt or fear? Is there a real difference between him and the other boys who went to the Jewish village? The power of faith: Was the Children’s Crusade an extreme that could happen only in the less educated, religion-dominated thirteenth century or are there groups around the world today in which children and teenagers would do similar things for their faith? Independent thought and the value of education: Both Georgette and Robert are educated, which was very unusual in their times. How did their learning affect their view of the world? Love: Georgette had known love before the Crusade, from Father David; Robert had not. How did this make them different from each other? Explore in these and other characters the kinds of love that are honest and clear and those that are not. Duty and Obligation: Both Georgette and Robert abandoned those who had taken care of them. In fact, Robert abandoned his mentor twice. How do they differ in their thoughts about these actions, and how do you feel about their decisions? Ambition: Is it worse for a church official to be fiercely ambitious than a businessman or even an athlete? Can Abbott Bennett’s pride in the young Robert pass for love? Do you think Abbott Bennett warned the young couple to flee out of an underlying love for Robert or because it would be better for him personally if his protégé escaped (and thus could not be tried by the Council on which he served)? Do you think the other Council members, who had clearly decided on Robert’s arrest, announced what they were going to do and when they would do it in order to give the abbot a chance to warn Robert? Would such a warning avoid the embarrassment for them of investigating the protégé of one of their members? 1. Many people in the West are secular and never attend religious services or pray. Was this an option in medieval times? 2. What physical or emotional benefits did the majority of the Crusaders derive from a Crusade? 3. How might Robert’s life have developed if the abbot had not fostered him? 4. Is the abbot a good man? 5. What was Abbot Bennett’s motivation for warning Robert to flee at the end of the book? 6. Was Georgette as good as she seemed? Does she change much over the course of the book? 7. How did Robert change as a result of the Crusade? 8. Which major or minor character in the story would you have befriended on the Crusade? 9. How was Prophet Stephen able to preach so charismatically? 10. Was Stephen a prophet touched by God, a misguided teenager, or a conman? For an example of how NIGHT has been used in the classroom, click on the following link to a 6th grade project at the Martin J. Gottlieb Day School in Jacksonville, Florida. Click on the following link, then click again to download. The novel tells the story of sisters Devorah and Nechama, who survive a brutal pogrom in Poland after the FIRST World War. A Jewish philanthropist (based on real-life hero Isaac Ochberg) offers to take them to safety in South Africa, in a group of 200 war orphans. But their new-found security in Cape Town is cut short when the two are sent to live with different families. Devorah and her younger sister, Nechama, have lost their parents to disease induced by the poverty and chaos in post-war Poland. They narrowly survive a traumatic and bloody pogrom in their village, which wipes out any remaining friends or family, and are smuggled by a gentile woman to an orphanage for Jews in a larger town. There, they are taken under the wing of philanthropist Isaac Ochberg. When he selects them to travel with him to a safe haven in South Africa, in a group of 200 orphans, Devorah is unwilling. Still grieving and confused, she is terrified by the idea of such a drastic change. Nechama, on the other hand, sees the opportunity as an adventure and embraces the idea with a determination that unsettles her older sister. At the orphanage, Devorah throws herself into her studies, luxuriates in having more food than she can eat, and starts to feel secure. But her fears seem to come true when Nechama is taken away to be adopted by a wealthy family and lavished with love as well as material pleasures. Devorah withdraws into resentment at losing her sister. Her own adoption by a simple, older couple is a blessing that she has to learn to appreciate. Devorah’s narrative ebbs and flows between flashbacks of her life in the Polish village of Domachevo, and her later experiences in South Africa. As the girls settle into a new life, Wulf exposes sensitive and insightful parallels between racial barriers in South Africa and religious prejudices against the Jewish race. The Night of the Burning is a heartfelt, beautiful, and redeeming tale of a young girl’s journey to a safe haven and, ultimately, a true family. Linda Press Wulf grew up in Johannesburg, South Africa, in the apartheid era, which she describes as a “soul-twisting experience”. She received a B.A majoring in English and then left the country, heading out to the liberal campus of UC Berkeley near San Francisco where she enrolled to do a teacher’s credential. Linda was trained as an editor at Macmillan of Canada and lived in Toronto for ten years, interrupted midway by one adventurous year in Japan. In 1988 she moved to Israel where she met her husband, a fellow South African. They have lived in Berkeley, California, for eighteen years and have two sons. The chapters alternate between flashbacks and the present; how does this affect the pace of the novel? What effect do you think the author is trying to achieve by using this method of narrative? Is she successful? The story was first written in the third person and then changed to Devorah’s viewpoint. What effect does the use of first person narrative produce? Do you think this makes the story more personal, or too personal? Imagine the story written in the third person – how different do you think it would be? The novel is historical fiction, based on facts that the author’s husband was told about his mother’s childhood. How does knowing this change the way we read the novel? How does it affect the book that the author is Jewish? Would it have the same impact if it were told by a non-Jew? Now think about this in a different context. Does the same apply for a female writing as a male? Think about the concept of memory. How important is it that we remember our past? Does the past affect our future? Is there, as Devorah’s father says, a hard way of remembering and an easier way of remembering? What does it mean to ‘come from’ a country? What makes up your idea of nationality? Is it where your parents are from or where you were born or where you live now? Think about the concept of ‘home’ as opposed to ‘house.’ What makes a place your home – is it family, where you keep your belongings, where you feel safe? Think about how Devorah and Nechama would describe their idea of home. Would they differ from each other? Compare Devorah’s treatment as a Jew in Poland to the underclass status of dark-skinned people in South Africa in the days of apartheid. When the girls start at their new school they are given a uniform. What do you think about the idea of wearing a school uniform? Does it stop teasing and labelling because everybody looks the same, or does it suppress individuality? How do you think this differs in our society from in Devorah’s world? Consider the importance of identity in the novel. Devorah is furious when Nechama’s name is changed to Naomi and the younger girl takes on her adoptive parent’s surname. But she is also upset when her own adoptive parents do not bestow their surname on her. Think of the parallels between naming and belonging, and how this relates to identity. Think of the relationship between Devorah and Nechama. Is Devorah a mother figure? How does the dynamic change when Nechama is adopted? 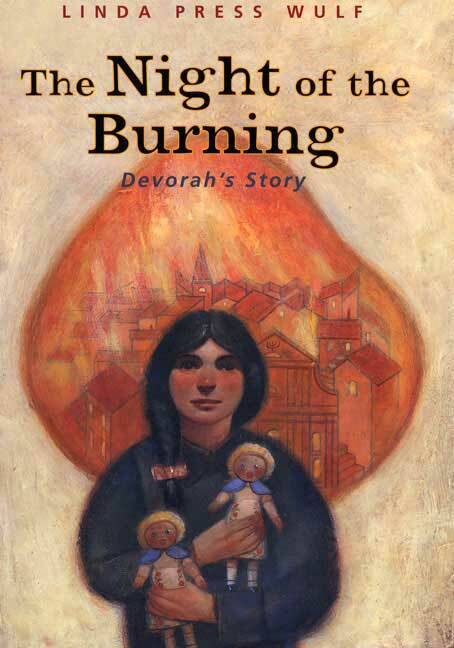 And how does Devorah change when she ultimately accepts her foster mother? Are there other characters in the novel that you think have offered surrogate roles as parents along the way?